Ratan Tata on the Nano: "It gained the stigma of 'I don't want to be seen in the cheapest car. My neighbors will think I have no money.'" GREENVILLE, S.C. -- Tata Motors, producer of the car conceived as the world’s cheapest, is rethinking the “cheap” part of it. The Indian automaker believes its Nano, which went on sale in 2009 with a price tag of about $2,500, may have been too inexpensive for its own good. Now Tata is considering a new-generation Nano with a bigger engine, broader world appeal and a higher sticker price, said Ratan Tata, the company’s chairman emeritus, who championed the car’s development nearly a decade ago. “It got branded as India’s cheapest car -- not the most affordable or the best value for the money,” Tata said Tuesday at the South Carolina Automotive Summit here. Tata retired as chairman in December 2012 after acquiring Jaguar and Land Rover from Ford Motor Co. His rare public comments came as he received an honorary doctorate in automotive engineering from Clemson University. In an on-stage interview with Automotive News Editor-in-Chief Keith Crain, Tata said he pushed for development of the no-frills Nano in hopes of giving low-income Indian families a safer transportation alternative than motorcycles. “We’re trying to reposition the car not as the cheapest car, but as a car with more bells and whistles that would stand out on its own in the marketplace. “So -- make it more of a real car,” he said. A larger engine will address complaints that the Nano’s 37-hp two-cylinder engine is noisy and sounds like a small motorcycle, he said. 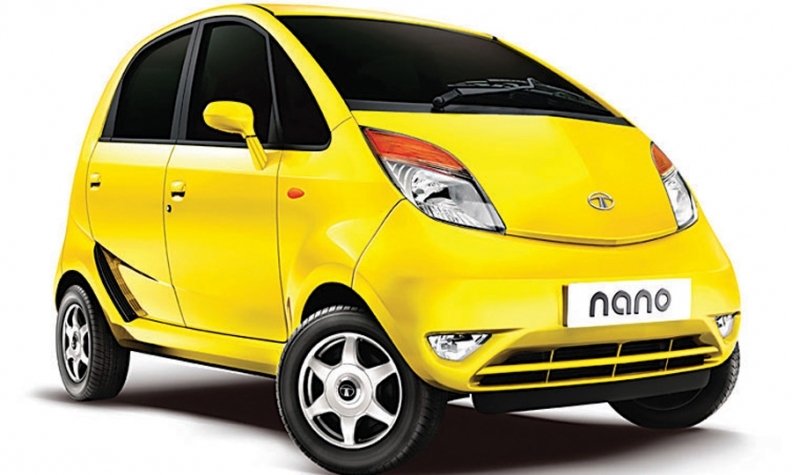 He emphasized, however, that Tata will keep offering the current version of the Nano, even after creating at least two more substantial versions of the nameplate. Nano sales peaked at just under 75,000 in 2012. Last year, sales fell below 22,000. Tata said he still believes in the merit of the ultralow-cost car. He predicts the next Nano could reach annual production levels of 500,000.